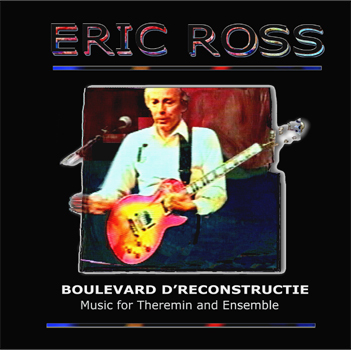 Theremin World - New Eric Ross CD: "Boulevard"
New Eric Ross CD: "Boulevard"
"Boulevard d'Reconstructie-Music for Theremin and Ensemble"
Eric performs on piano, guitar, synthesizers, Theremin. His work is a combination of written and improvised music, and includes elements of jazz, classic, serial, electronic, and avant garde. His new CD, "Boulevard d'Reconstructie-Music for Theremin and Ensemble" is the third in the series on the artist's own label, and gives the listener a close encounter with Ross' latest music. Prominently featuring the Theremin, Eric performs solo and with his All-Star USA and Euro groups. The CD was Recorded live on the road (the "Boulevard") at Newport, Berlin, Montreux, North Sea, Copenhagen, Calgary Jazz Festivals, and in studios in New York, Paris, Prague, Amsterdam and Brussels. ("d'Reconstructie"). 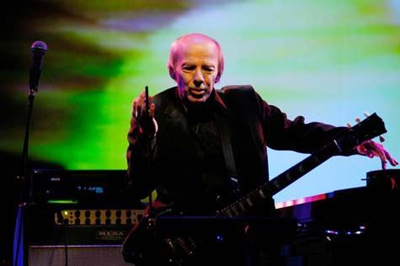 A long time player on the theremin scene, his last album included collaborations with Lydia Kavina and Eric was a personal friend of inventor Robert Moog, the theremin virtuoso Clara Rockmore, and in 1991 had met and played for Professor Lev Termen himself. The Theremin has been a major factor and inspiration in his work and teaching. Congratulations Eric, this represents a lot of aether music making!